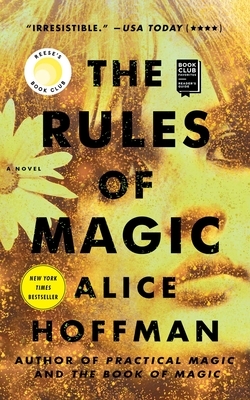 An instant New York Times bestseller and Reese Witherspoon Book Club pick from beloved author Alice Hoffman—the spellbinding prequel to Practical Magic. From the start Susanna sets down rules for her children: No walking in the moonlight, no red shoes, no wearing black, no cats, no crows, no candles, no books about magic. And most importantly, never, ever, fall in love. But when her children visit their Aunt Isabelle, in the small Massachusetts town where the Owens family has been blamed for everything that has ever gone wrong, they uncover family secrets and begin to understand the truth of who they are. Yet, the children cannot escape love even if they try, just as they cannot escape the pains of the human heart. The two beautiful sisters will grow up to be the memorable aunts in Practical Magic, while Vincent, their beloved brother, will leave an unexpected legacy. Alice Hoffman delivers “fairy-tale promise with real-life struggle” (The New York Times Book Review) in a story how the only remedy for being human is to be true to yourself. Thrilling and exquisite, real and fantastical, The Rules of Magic is “irresistible…the kind of book you race through, then pause at the last forty pages, savoring your final moments with the characters” (USA TODAY, 4/4 stars).